Colourful Orientals Don’t Mean What They Say…? let us hear no more of the Northern Ireland fairy tale. 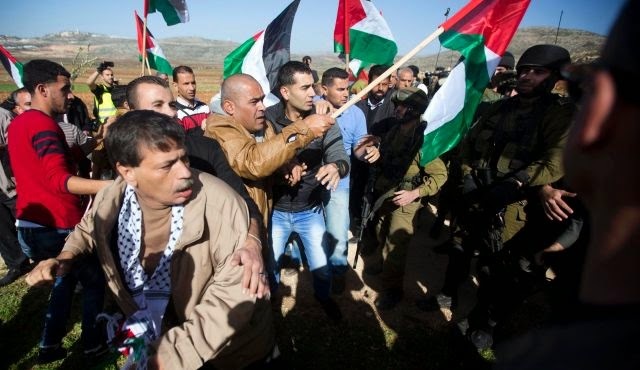 An autopsy attended by ‘Palestinian,’ Jordanian and Israeli doctors has confirmed that terrorist Zeid Abu EinÂ died of a heart attackÂ which began at a violent demonstration on Wednesday. But the ‘Palestinians’ will blame Israel anyway, and this will be another excuse for incitement to violence anyway. An alleged Islamic hate preacher has been arrested over claims he is the terror mastermind who recruited the two Austrian jihad ‘poster girls’ and more than 160 others who joined ISIS. Samra Kesinovic, 17, and Sabina Selimovic, 16, became radicalised through the cell led by unemployed benefits claimant Ebu Tejma, 33, who lived with his pregnant wife and five children in a council flat in Vienna, Austria. Previous Post“Illegitimate, racist protests” in Germany, shrieks Mohammedan agitprop….Next PostBlood Money For Muslim Soldiers?